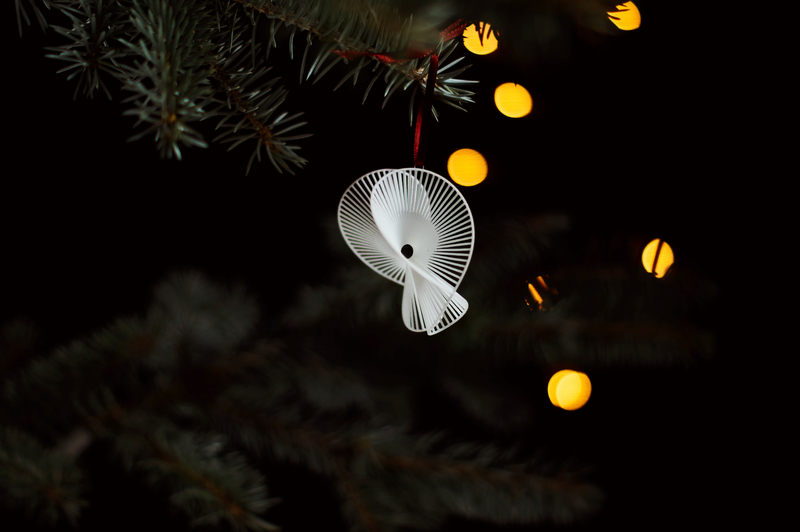 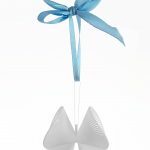 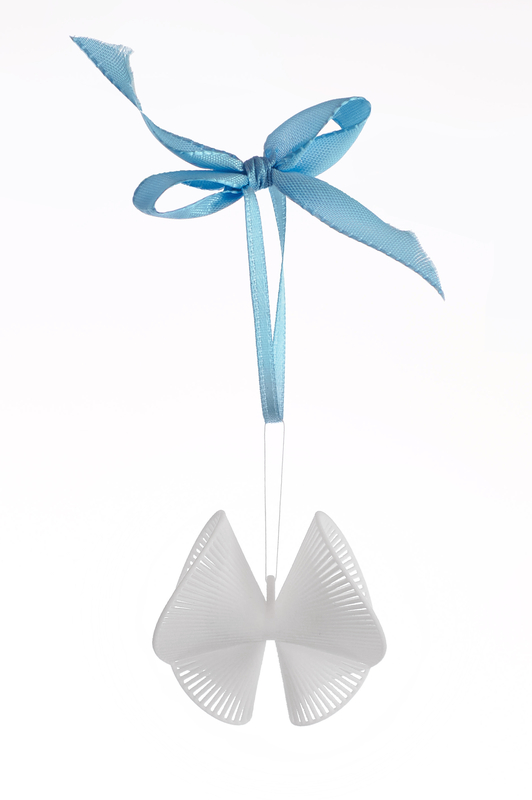 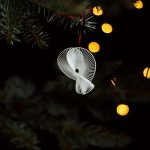 Designer David Münscher has created „SNOWANGELS“, a series of modern Christmas ornaments, that draw inspiration from the fluent motion of classic dance moves and dance photography. 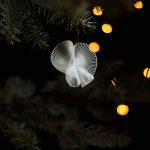 The intricate, weightless shapes of the snowangels were created using an algorithmic design approach, where an object’s motion is frozen into a static sculpture over time. 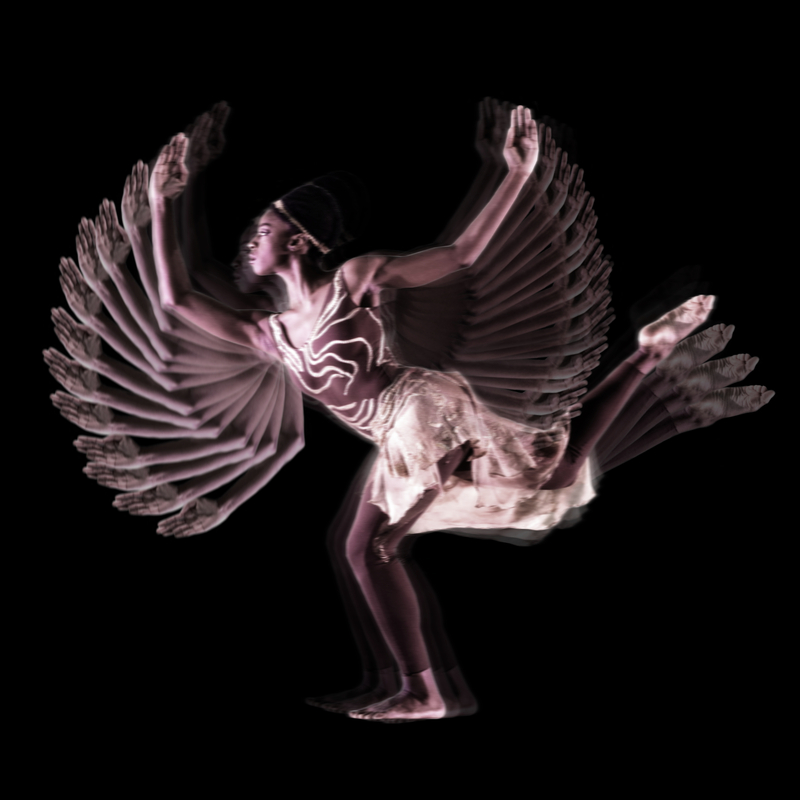 Physical snapshots of the angel`s abstract wings were taken over the course of the motion tracing the movement into one continuous form. 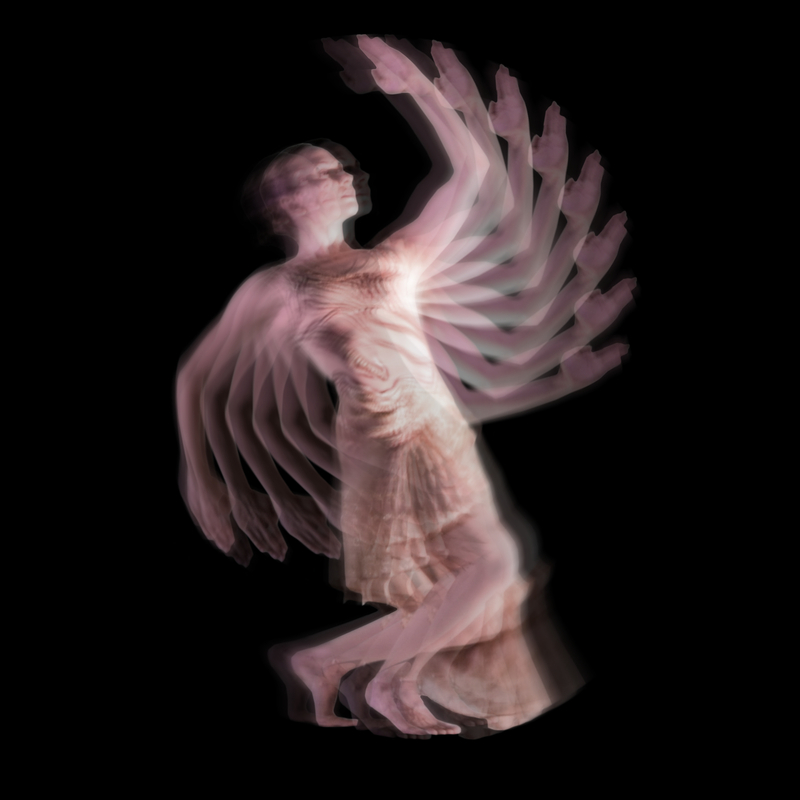 The provided photographs give a good impression of the changing appearance of these sculptures in different perspectives, but the dynamic forms are best understood in motion. 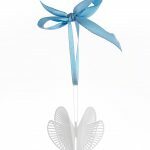 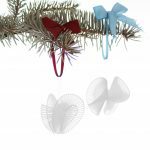 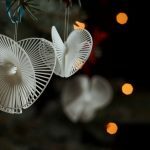 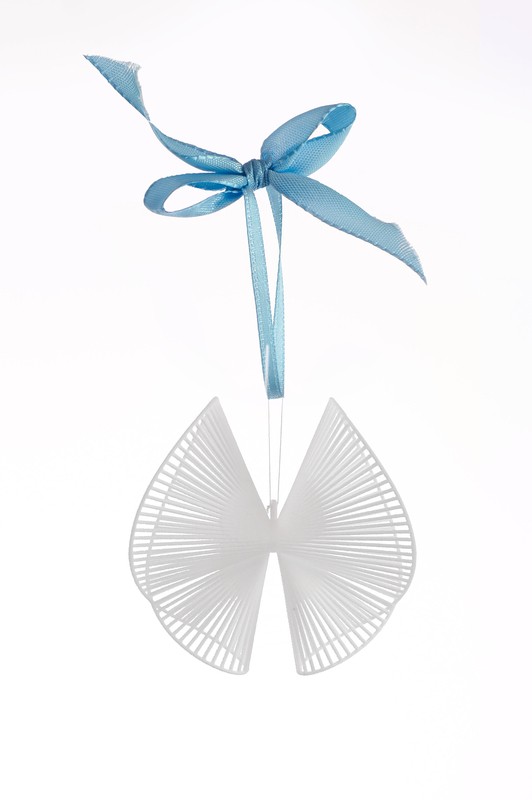 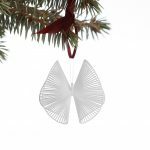 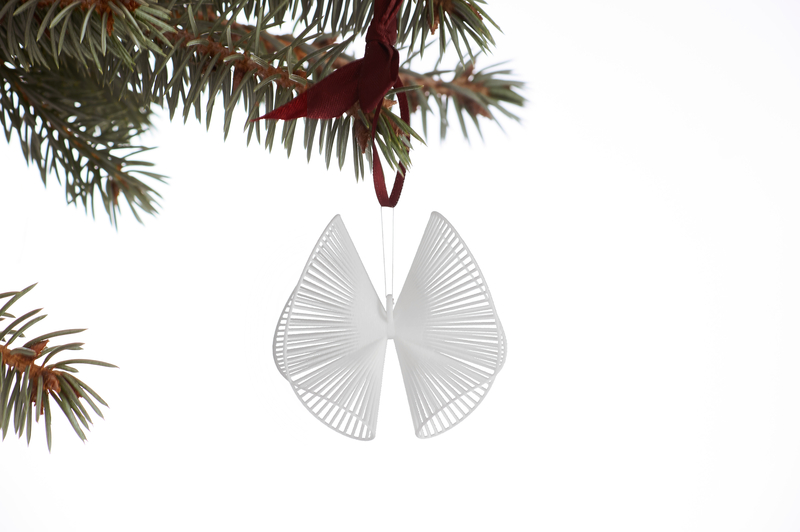 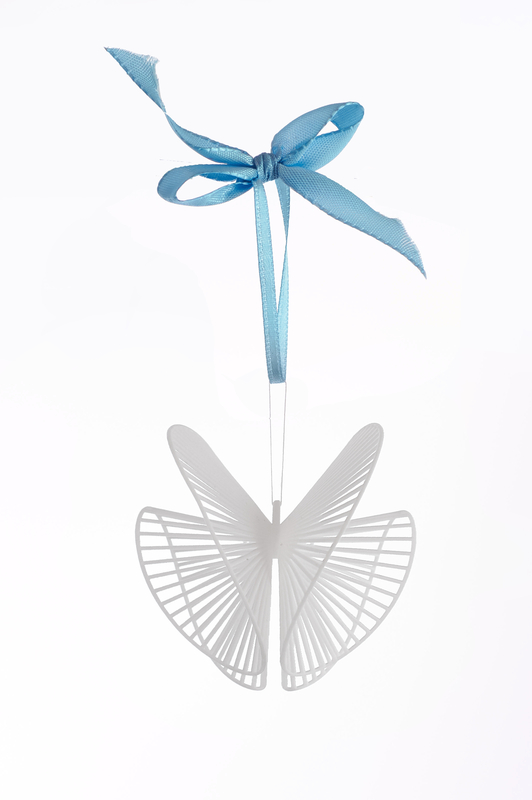 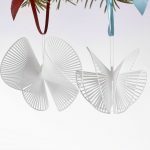 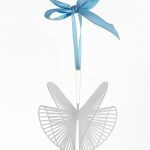 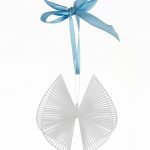 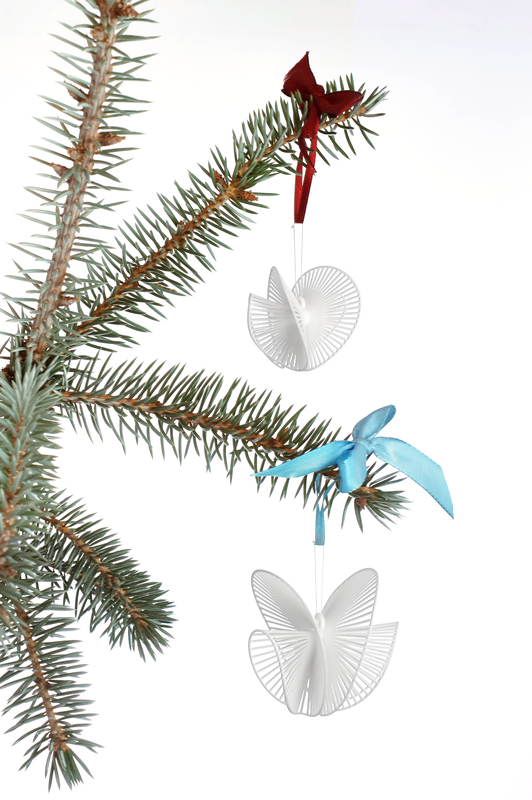 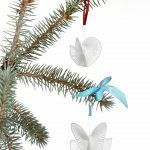 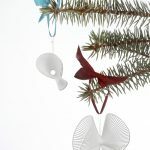 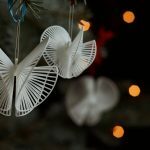 Although originally intended as Christmas ornaments the snowangel`s resulting resemblance of abstract butterflies, will make for an interesting home decoration all year around. 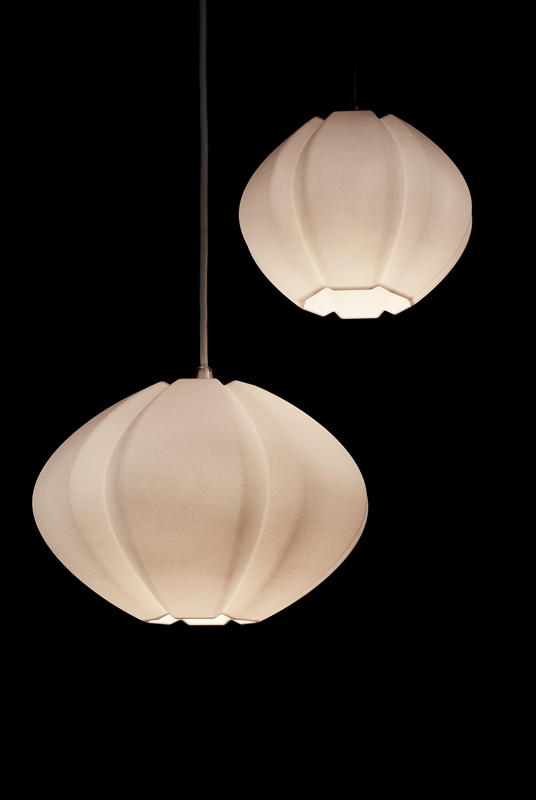 There are two different models in two different sizes available. 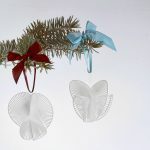 One set measuring 2 inches (50mm) and the other one 2.5 inches (70mm). 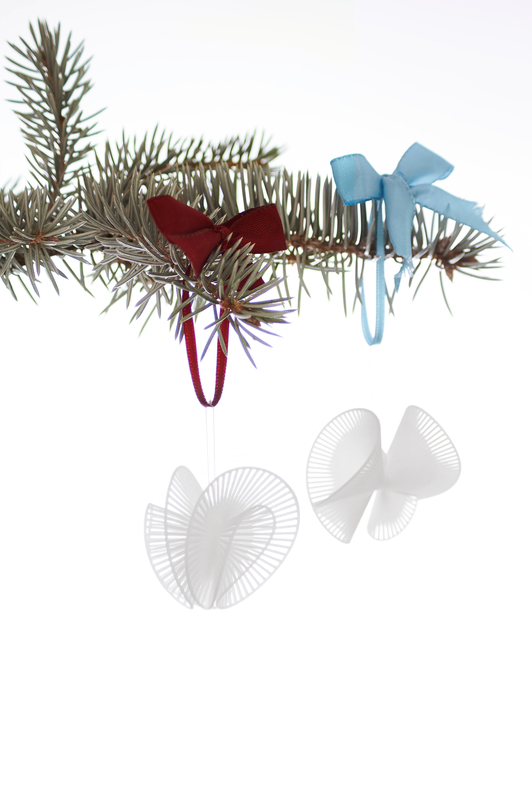 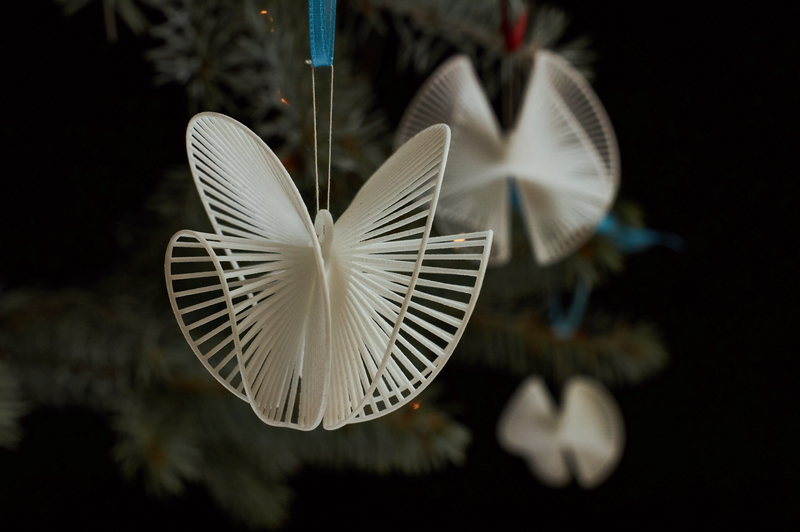 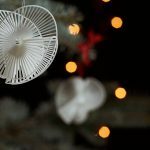 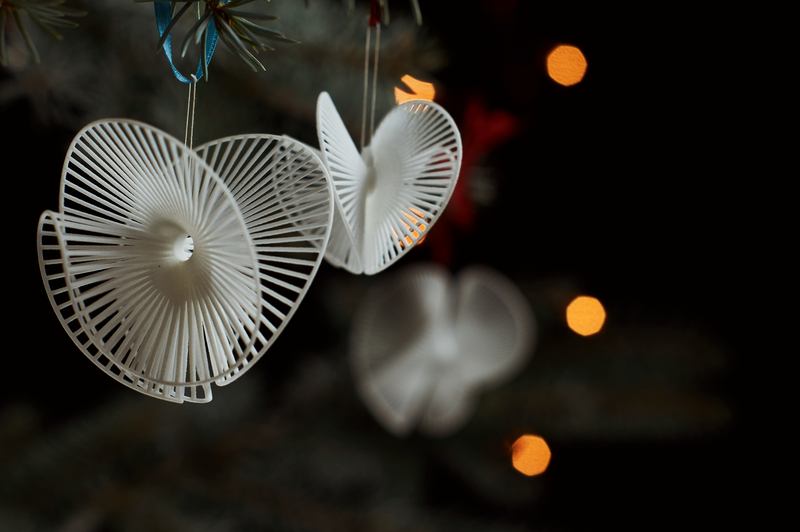 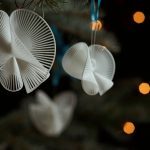 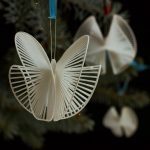 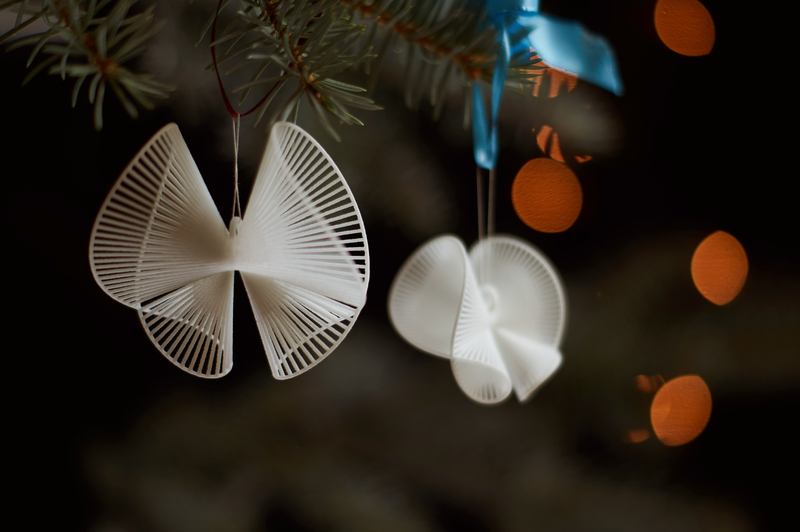 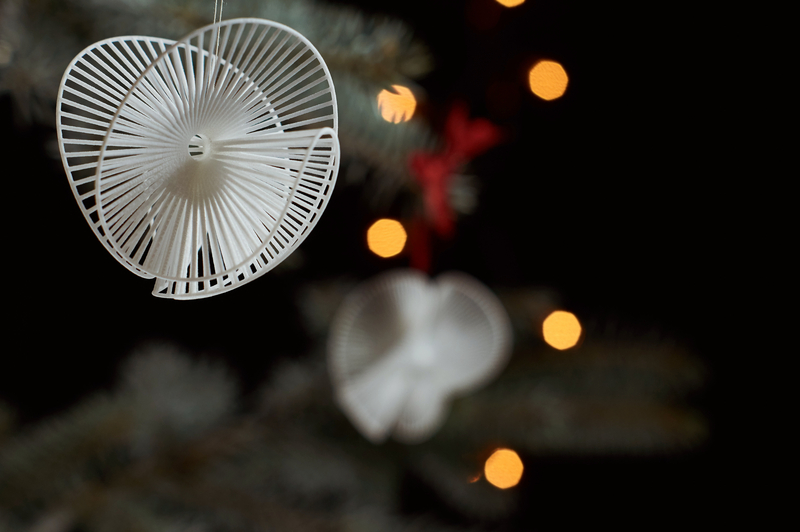 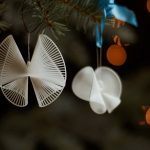 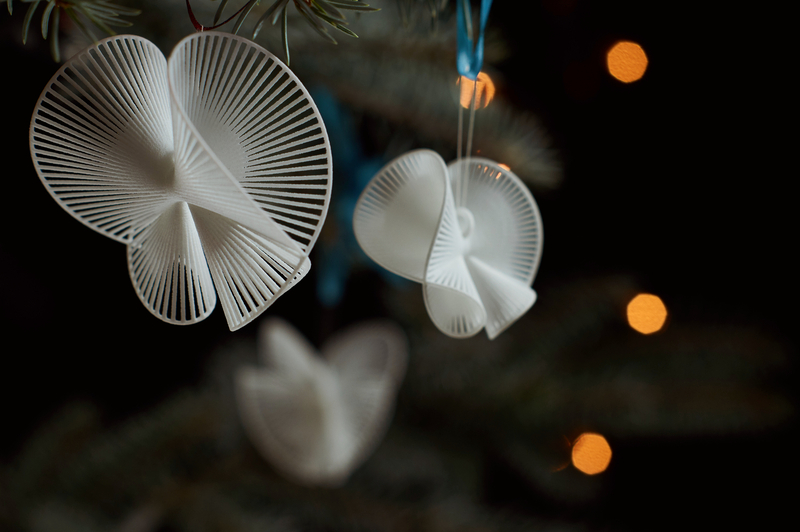 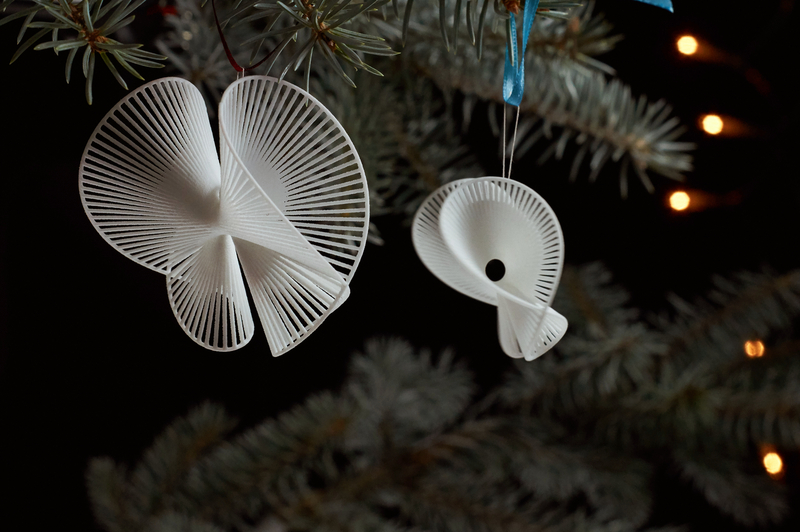 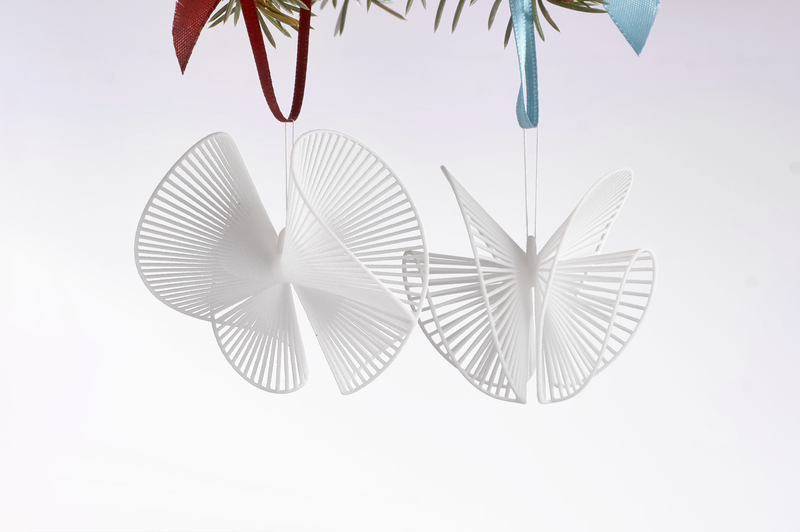 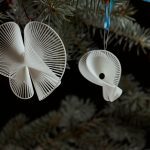 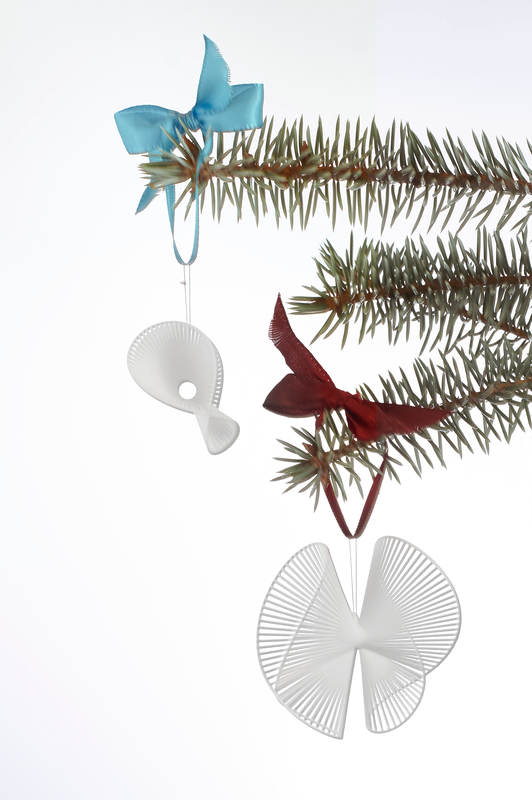 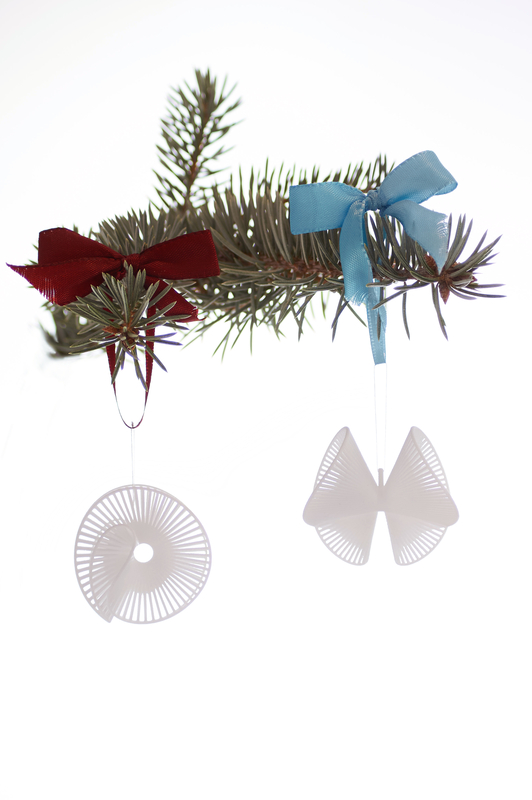 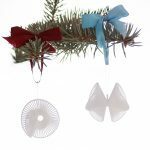 The ornaments are 3d printed on demand in a strong nylon material, that makes them very durable despite their delicate appearance. 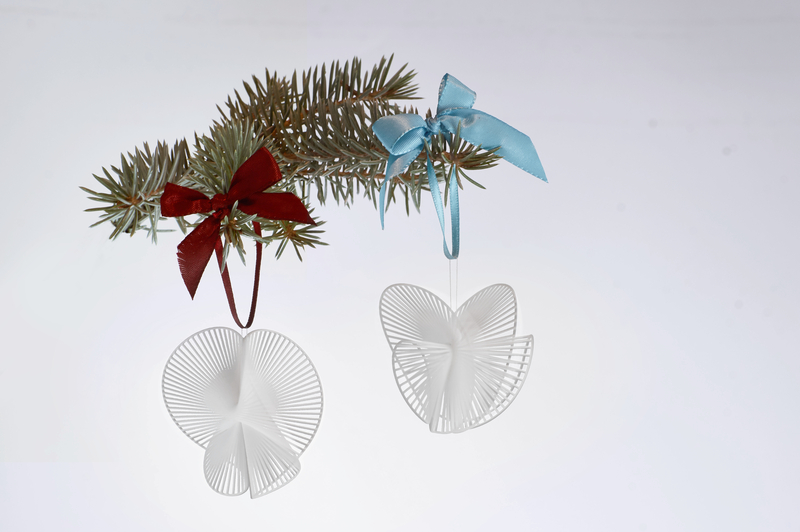 The snowangels are available via https://oxique.com. 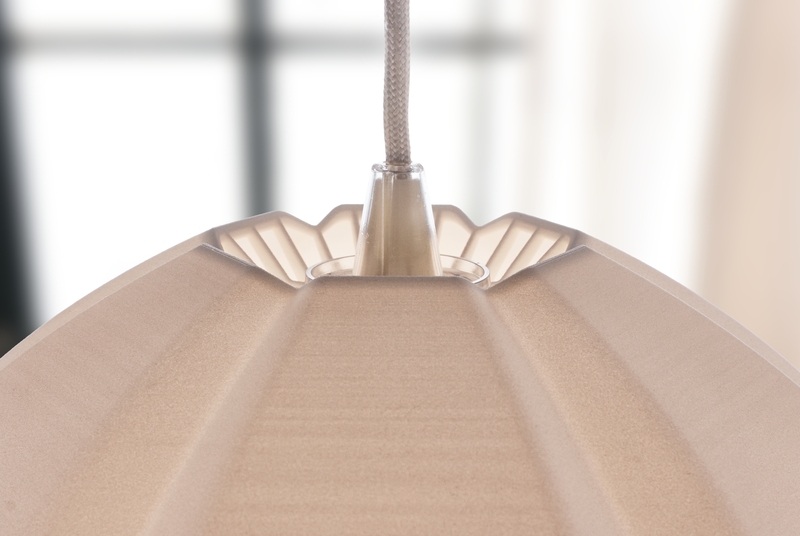 Right click | save link as – to save the high resolution images below. 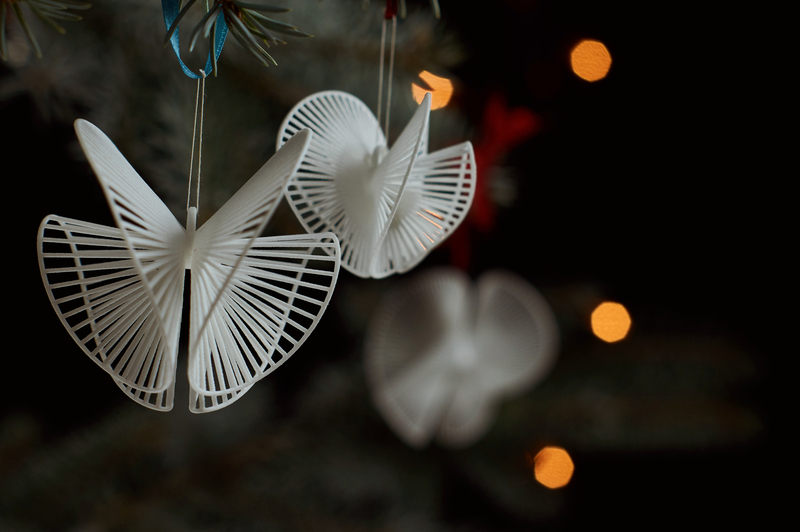 > Or download the whole set as a .zip file here. 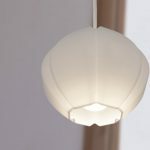 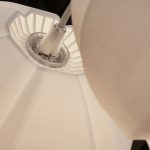 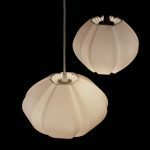 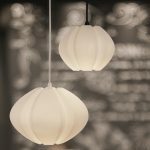 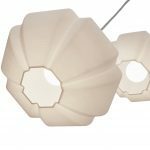 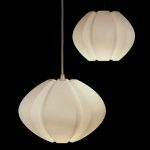 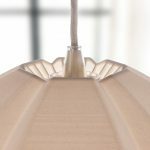 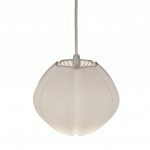 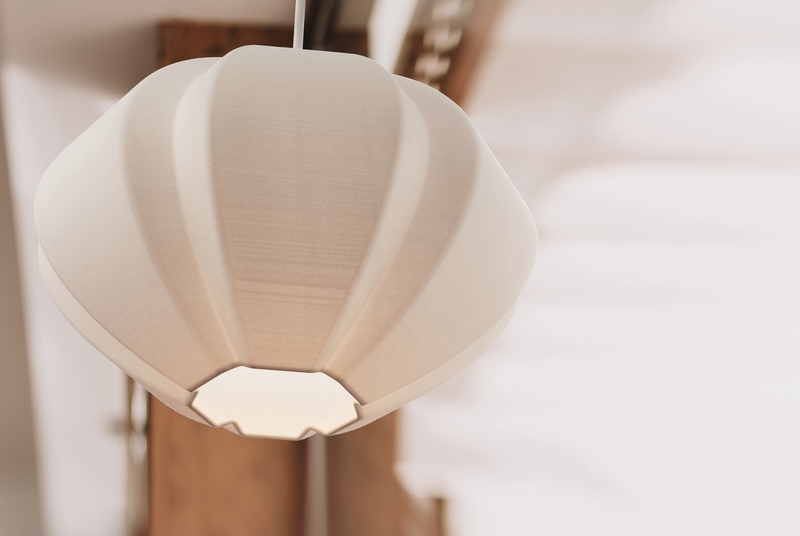 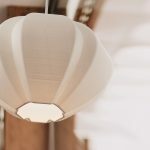 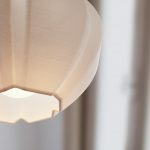 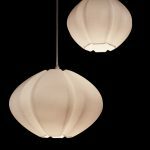 Designer David Münscher has created two lampion shaped lampshades, that use principles of curved paper folding to create a thin, but rigid light object. 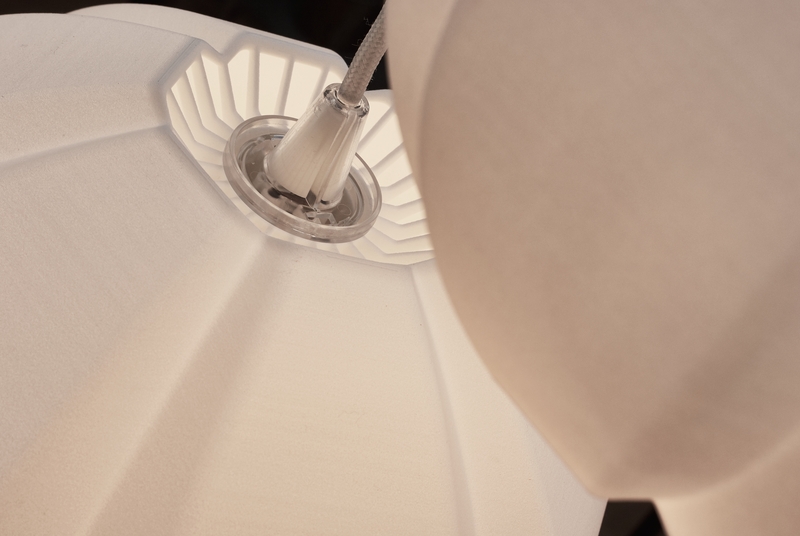 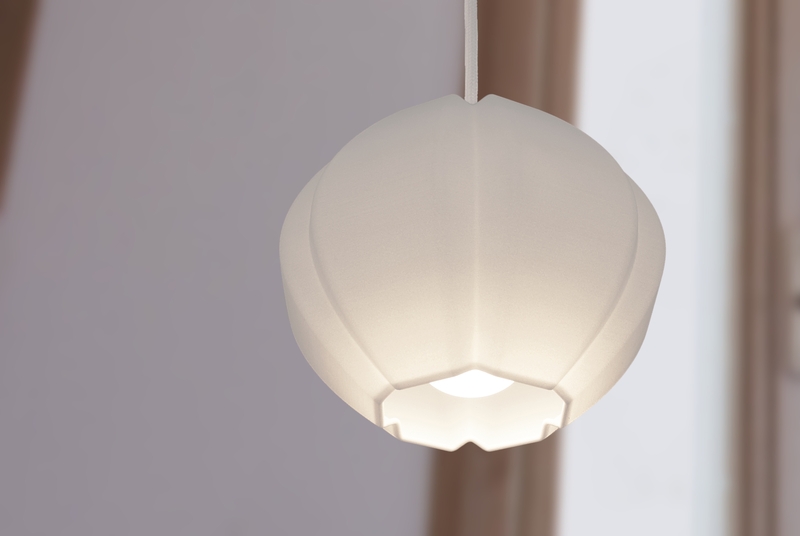 Due to the layer structure of the 3d printing process the resulting shade has a paper like structure, that reveals itself fully when lit. 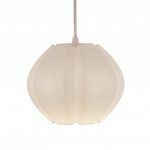 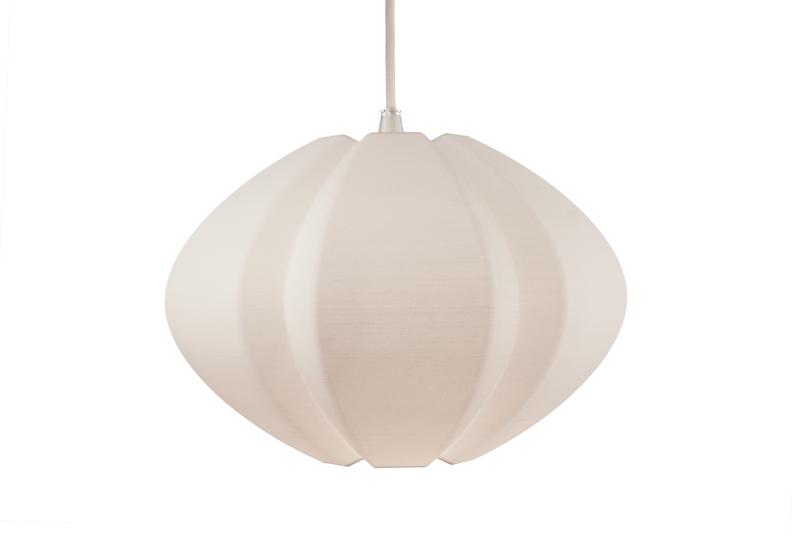 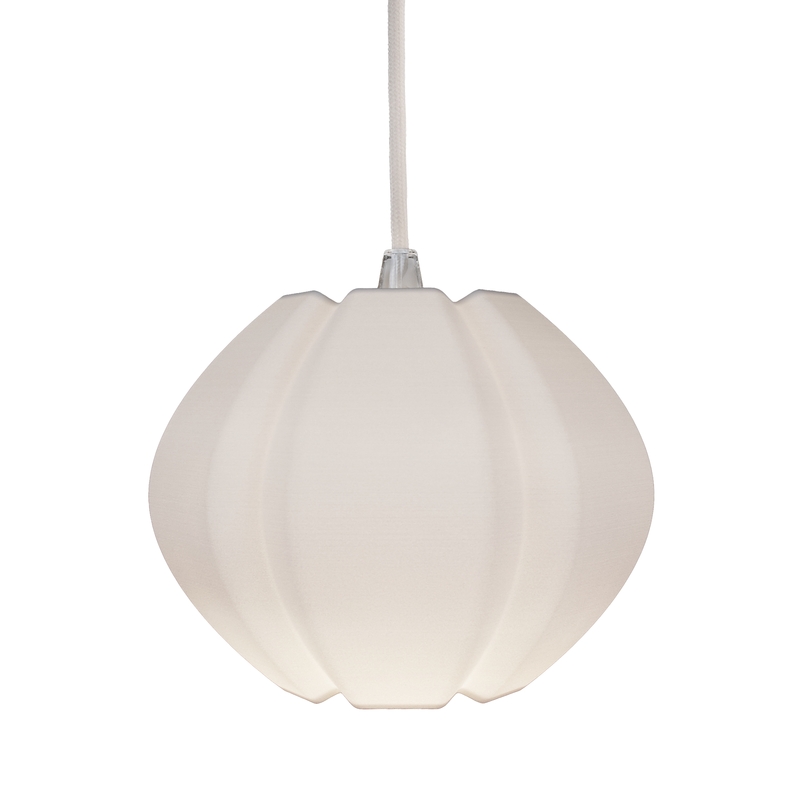 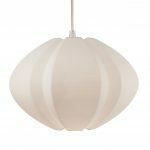 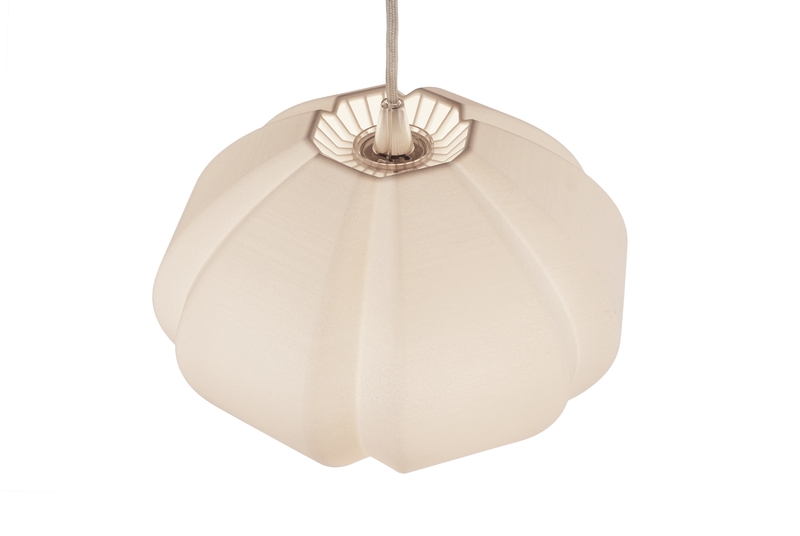 During daytime the bright white, curved shape adds a clean, yet homely accent to an interior. 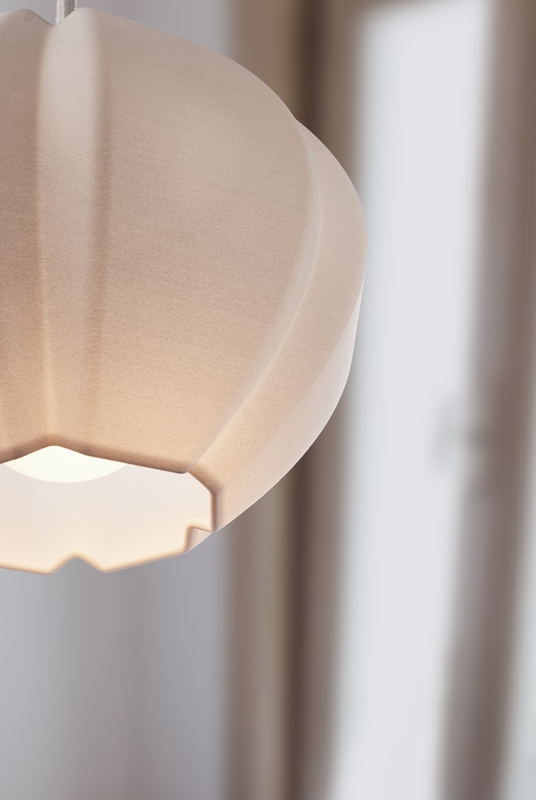 When turned on in the evening ION illuminates the space with a warm, soft glow to the sides and a focused spot of light underneath. 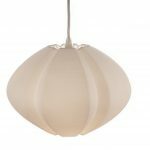 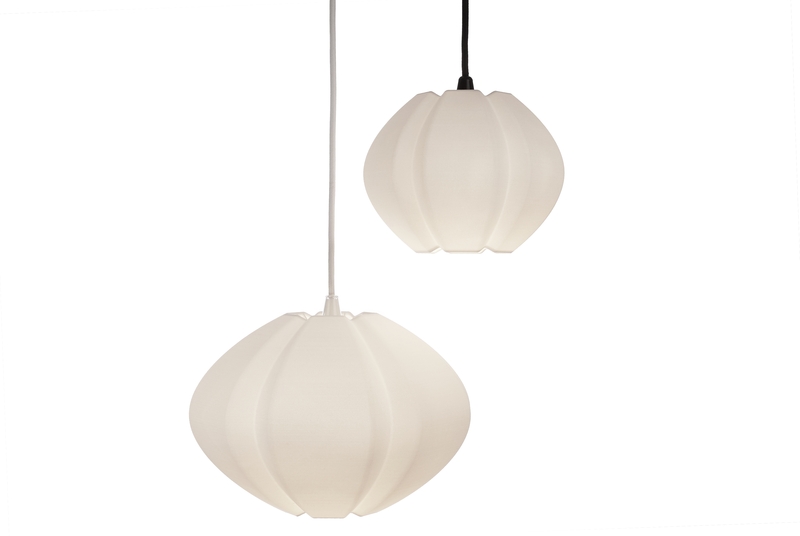 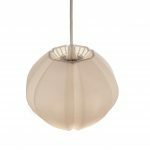 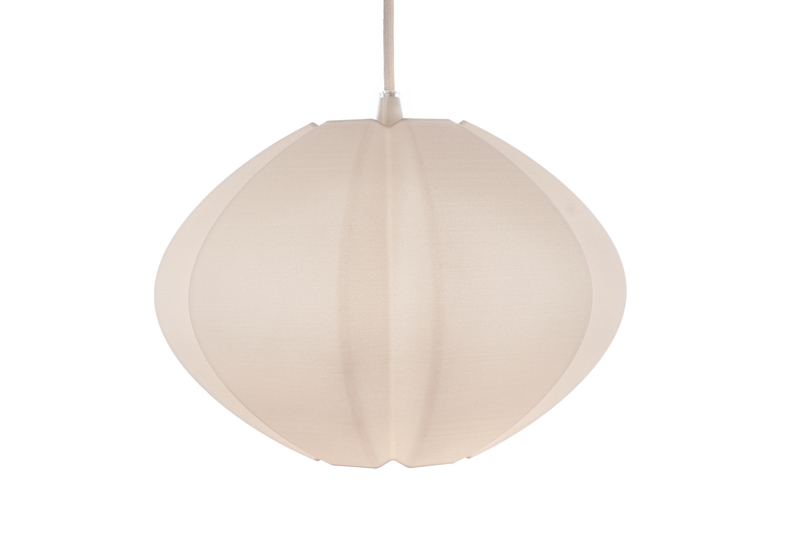 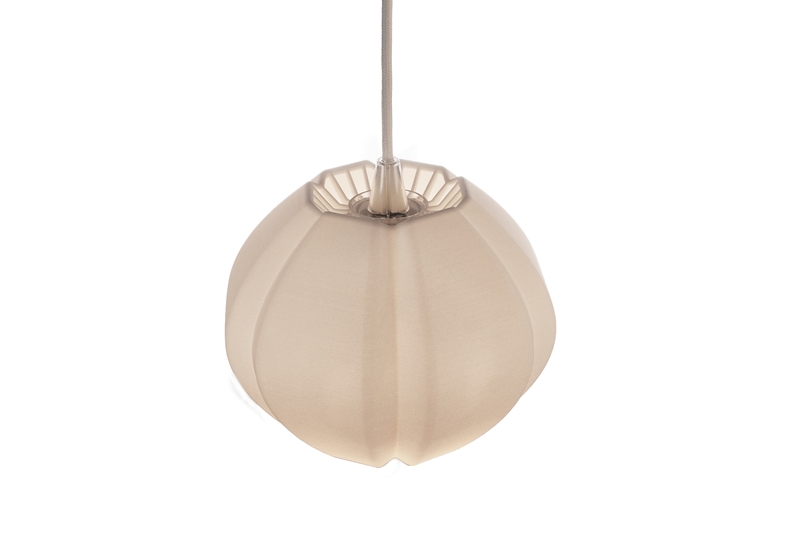 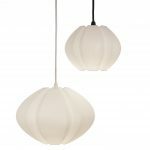 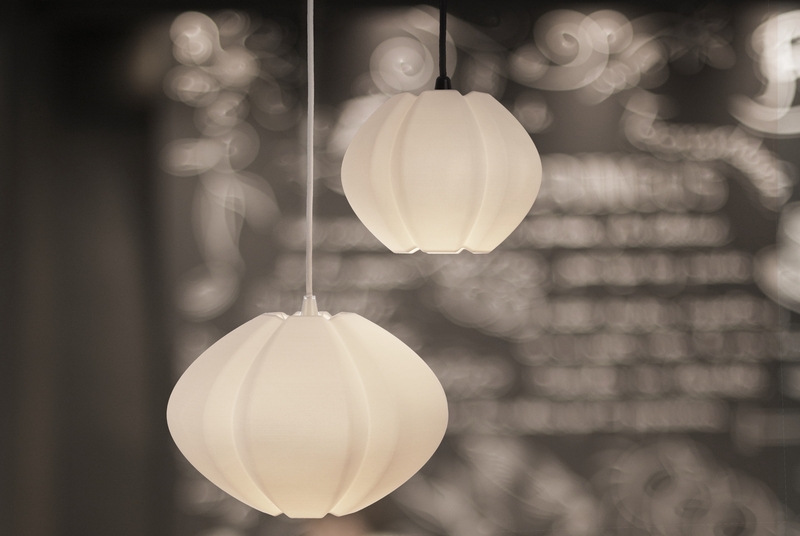 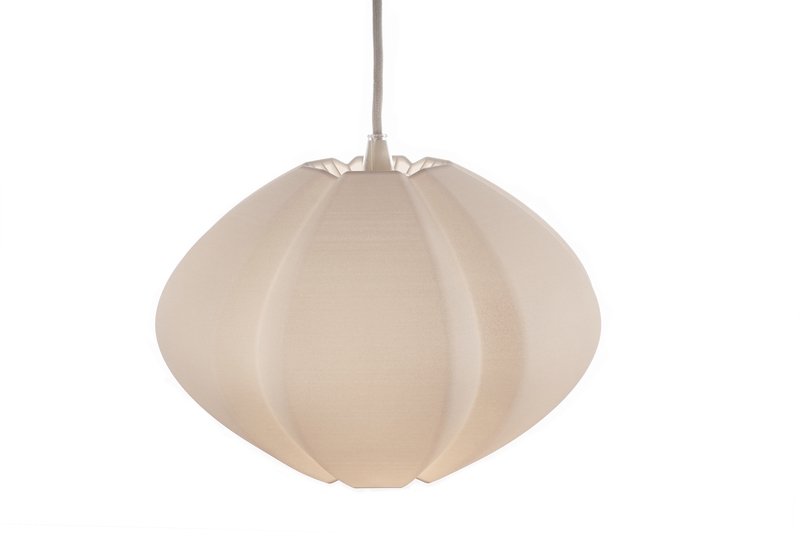 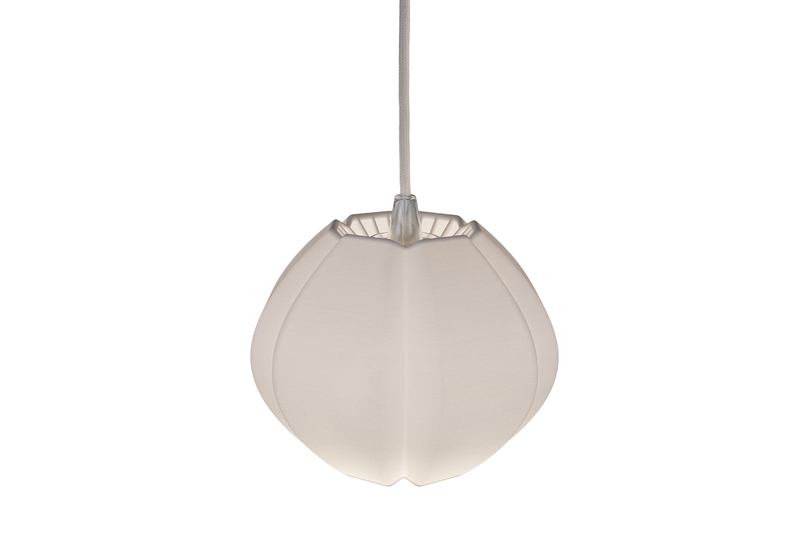 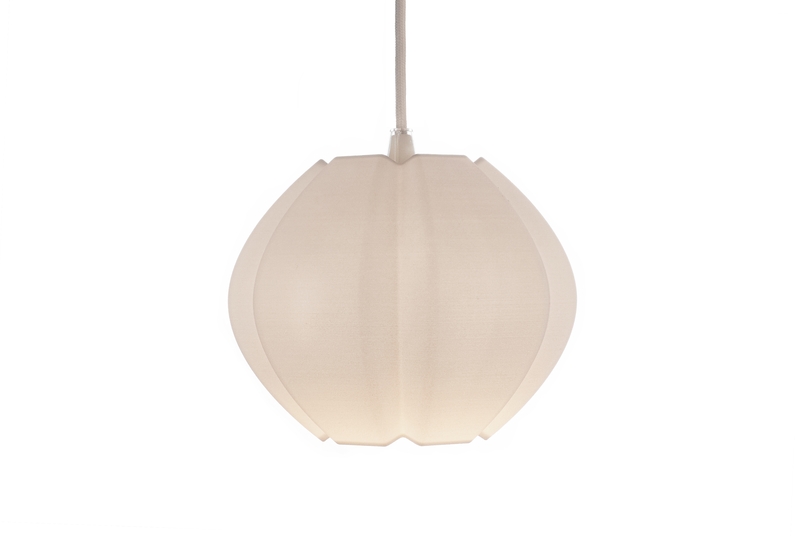 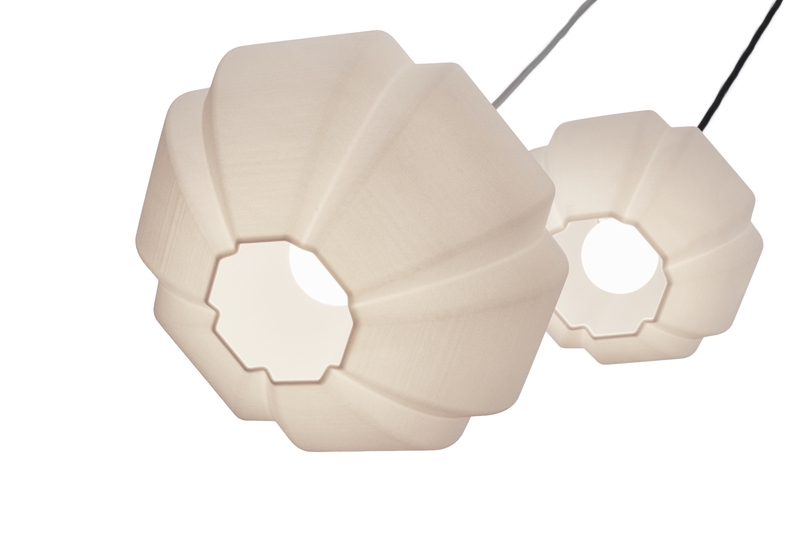 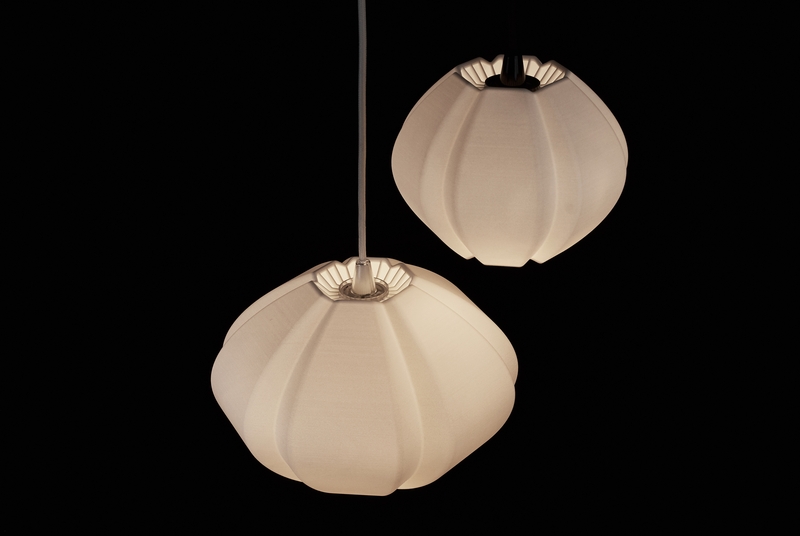 ION is available in two sizes and lends itself to be hung as a single lamp or in groups, forming lines or clusters. 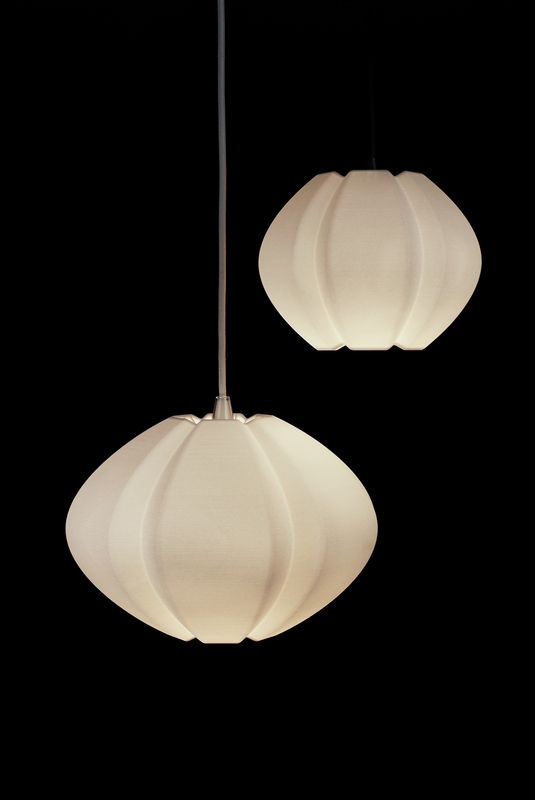 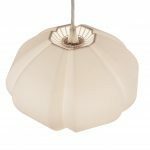 By the use of a lamp stand the shades can also be turned into a floor or table lamp. 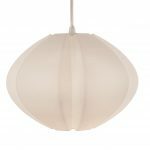 Both, ION and the smaller ION S lampshade are now available via oxique.com. 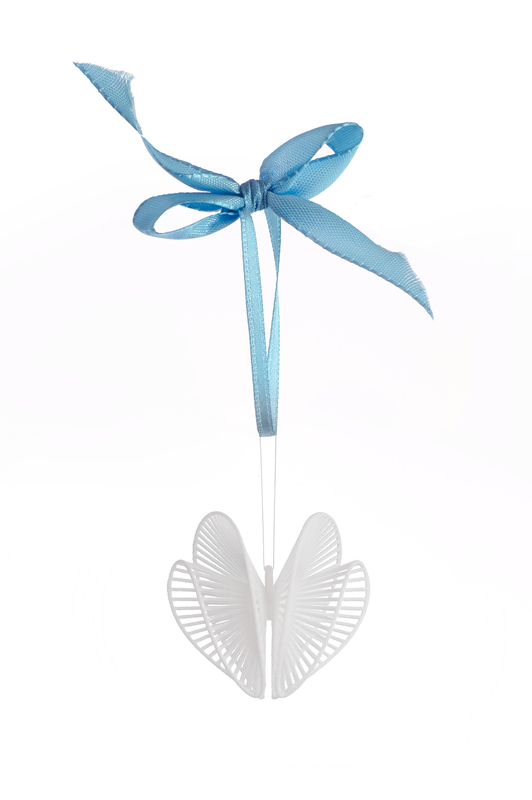 For further information please feel free to get in touch.